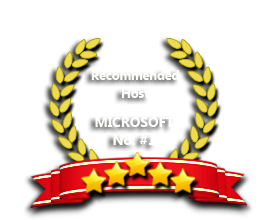 ASPHostPortal is the leading provider of Windows hosting and affordable Windows Server 2012. Our price starts from $4.49 per month. While Windows Server 2012 general availability starts September 4th, new and existing ASPHostPortal.com clients can now take advantage of the powerful capabilities of Microsoft’s latest edition. In keeping with ASPHostPortal.com’s commitment to offer the most advanced tools and resources as they become available, support for Windows Server 2012 hosting falls right in line by providing a full suite of added features and benefits. With Windows Server 2012 offers significant advancements from Windows Server 2008 and also surpasses many of the features available in VMware. Windows Server 2012 also provide high-performance, high-availability cloud environment without having to purchase expensive shared storage (SAN) equipment. IT pros and developers can test their existing and new applications, develop new cloud-optimized web applications and connect private and public clouds. Whether you're operating in the cloud or on dedicated hardware, Windows Server 2012 will provide the performance and cost savings your business is looking for. Are you ready with Windows Server 2012? Or You can try our Windows Server 2008. We offer both Windows Server 2012 and Windows Server 2008. Are you doubt with our service? You're very welcome to try our FREE Trial Hosting. If the service does not meet your expectations, simply cancel before the end of the free trial period. Our Windows Cloud Hosting fully supports Windows Server 2012 hosting. You are more than welcome to try our Free Windows Cloud Hosting before you decide to buy. You can get your Free Cloud Windows hosting account up and running within the next few minutes.